Congratulations on owning some Bitcoins and being a part of this Global Revolution! If you don't already own one, buy one easily from an exchange like Bitstamp.net, Coinbase.com, or from someone near you at Localbitcoins.com. 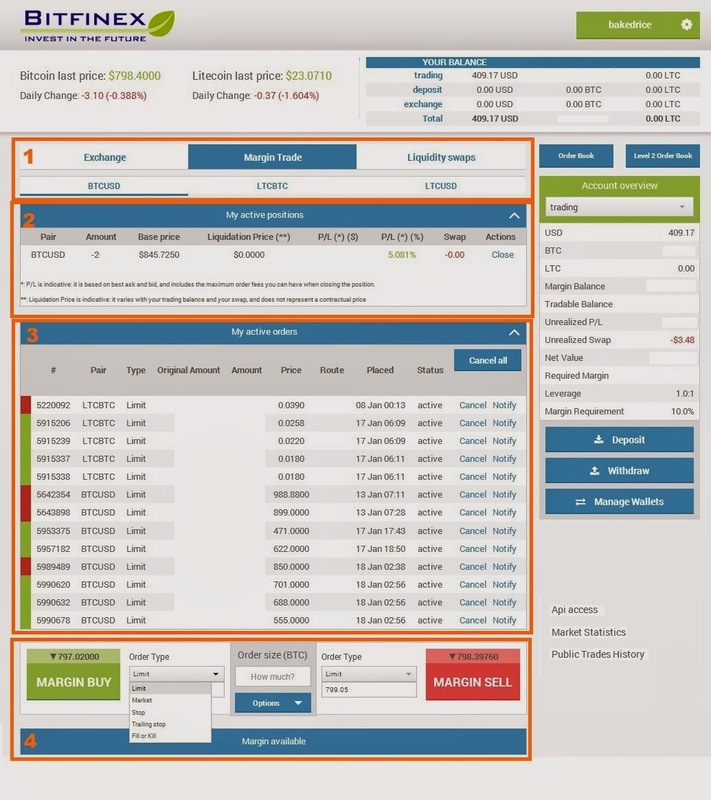 Once you own Bitcoins, you can easily trade them for any available Alternative Cryptocurrency from an altcoin exchange like Cryptsy. I like to use Cryptsy because they have so many available coins, and I also find them to be quite reliable. So you've been seeing tons of people making money trading Altcoins, while you've been losing tons of Bitcoins buying high and selling low? Whether you're simply frustrated with your "bad luck", or just want to learn more & make more Bitcoins daytrading, I'm here to help! So here's an easy-to-understand guide to picking and trading Bitcoin and Altcoins profitably, and of course, more essential daytrading tips to help us all become profitable cryptocurrency traders. Discipline is key; be patient and build up a fundamental understanding of the markets, and more importantly, hone that keen trading sense of yours. We all have it in us, just takes a little discipline and practice. Markets are ever-evolving; don't treat it like its static because past actions are not an indication of future performance. Always be open to and learn from other's opinions, be objective about it, and constantly adapt and improve your strategy. Lazy = poor; Nobody can help you but yourself, don't expect to be spoon-fed. Be an active learner and constantly seek new ways to improve your strategy. Reflect on what went wrong and don't make the same mistakes again. When in doubt, ask Google. There's only so much you can learn from reading; you don't learn how to ride a bicycle by reading a book, go out there and put your knowledge into practice. Start small to test your strategy and build your confidence. 3 methods to learn wisdom: by reflection, which is noblest; by imitation, which is easiest; and by experience, which is the bitterest. How to Find new Altcoins? So the first thing is to actually find new altcoins and to read up more about what it has to offer. To begin with, I always browse through the Alternative Currency announcements page on Bitcointalk to see what's popular. All new coins are definitely posted here so you shouldn't miss anything, and since threads with the newest post always appear on top, you usually don't have to look further than 2 pages. Things to look out for include the added value a coin brings (as I'll explain more in the next section), as well as the popularity and virality of the altcoin (i.e. high number of pages in a short time). Another place to look at is Cryptocointalk where you can find a long list of altcoins available, sorted according to new coins or by algorithm. This list is not completely updated, but is organized much better if you want to find out more about a particular coin. Secondly, you also want to cross-check your information about these coins on social media sources such as Reddit and Twitter. Start off on Reddit by doing a search for the coin, as well as looking at the number of subscribers on the altcoin's subreddit. I bought a ton of Dogecoin at 30 satoshi when I first saw the /r/Dogecoin community grow to 2500 subscribers 1 week after launch, which was way more than most other coins at that time (most new altcoin subreddits get less than 50 subscribers in 1 week). Dogecoin has even surpassed Litecoin to be the second largest cryptocurrency subreddit with over 50k rich shibes right now. I'd love to go on talking about why Dogecoin has much future, but I'll leave that for another post. And of course, search for the altcoin on Twitter and see what other people have to say about it. If you aren't already on Twitter, I must say that you're missing out on the best available source of cryptocurrency news. Start following a few users like those listed in the Tweet below, and also follow my Bitcoin Trading Tips and Altcoin Trading lists where I try to compile the best Cryptocurrency trading advice available on Twitter. Leave a comment below or tweet me @onemanatatime & tell me who else should be on those lists! And yes, that's all. I probably use less resources than most of you, but what's important is quality over quantity. It's crucial to learn how to spot a needle in a haystack. Make use of power of Social Media (a.k.a. Word-of-mouth on Steroids - Gary Vaynerchuk); ask the right questions, and you'll always get the right answers. Quark; Multi-algorithm for higher security. Nxtcoin; 100% Proof-of-Stake coin - no mining involved. Ethereum; A Layer/Protocol separate from Bitcoin, called Bitcoin 2.0 by some. Mastercoin; Not really an altcoin, more like a Layer/Protocol on top of Bitcoin. Vertcoin; Anti-ASIC, using Adaptive N-factor in Scrypt. Peercoin; Proof-of-Work + Proof-of-Stake combination. While their blocktimes do not really make much difference, anything below 2.5 minutes is good enough, and anything below 30 seconds is worth looking at. Special technical differences make or break an altcoin, and can really shine when they add sufficient value ontop of Bitcoin; you can see much interest in Anti-ASIC coins, Layers, 2nd generation POS coins, and (less so) Multi-Algorithm coins. Another interesting to note is that many altcoins are now updating with Kimoto Gravity Well (read the comments here for more), tl;dr difficulty readjusts after every block, improves difficulty adjustment and makes mining fairer, more secure, and smoother. I just want to add that not all pre-mines are bad. As long as the pre-mine is well justified and actually carried out by the developers, I think it helps altcoins to better market themselves and build up a community. On the other hand, some developers use this as an excuse to insta-cash out early, so be weary. Secondly, although there's a lot of negativity surrounding insta-mines like QRK, I'd just like to point out that these coins actually help make prices much more stable more quickly, and will not be subjected to volatility as much as Bitcoin. Withholding judgement, these two instances can be seen as simply different attempts to tackle the rampant problem of unfair distribution in cryptocurrencies. Branding & Marketing. The most obvious case for Branding is Dogecoin, which literally went viral just because it was already a popular online meme. On another note, I also like the WorldCoin branding, and more so their marketing efforts. Although prices have been dipping for WDC, keep in mind that so has every other altcoin (Bitcoin up, altcoins up; bitcoin down, altcoins down). Community. This includes popularity among public, general consensus about the altcoin, as well as the supportiveness of the community. The last bit is important, and a prime example is Dogecoin's altruistic community, as well as the growing market for Dogecoin services. With no other coin can you find such a large & liquid pool of people waiting to sell all kinds of goods/services for crypto. Developers. Just like how technical specifications make or break an altcoin, developers are the backbone of the whole cryptocurrency's ecosystem. Infrastructure. With a good team of developers and community, infrastructure around the altcoin will quickly follow. I like to take Dogecoin as an example because they have grown so much and so quickly, but you'll see it pay off in the sense that the community and developers are working together to build all kinds of services for the Dogecoin ecosystem; USD exchanges, marketplaces, movements, apps etc. The only way to get new coins pre-exchange is through P2P trades. High risk of getting scammed. Don't trade with new users, always trade with trusted users and gain a reputation until you can get others to send first. I've been scammed 3 times and had to learn the hard way. Best way is to totally avoid this method unless you're really dying to get a coin pre-exchange. First few exchanges that adopt a new coin vary, but they're usually the smaller ones. Very high risk. Always try to leave funds in there for as short a time as possible. I.e. freshmarket hack etc. Look for the relevant information on the altcoin's Bitcointalk thread, Google it, or ask someone on Twitter. Second exchanges, and they take up new coins pretty quickly too, include sites like Coinedup.com and OpenEx.pw. Thirdly, the biggest exchanges include sites like ValutOfSatoshi, Cryptsy, Coinex.pw, BTER. For a (updated but not full) list of which exchanges trade a particular altcoins, use Cryptocoincharts.info. 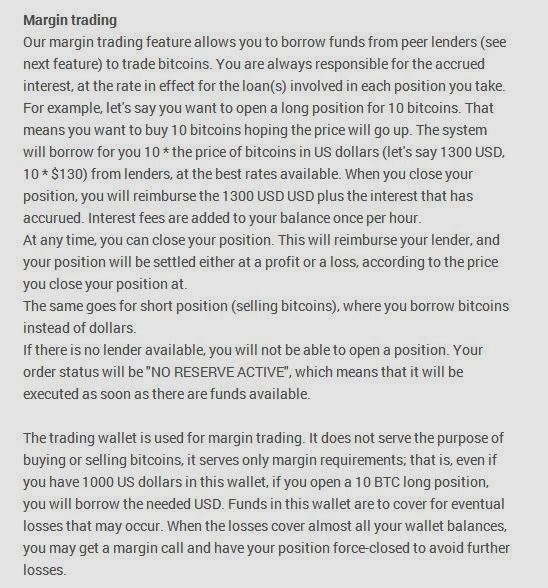 For Daytrading pairs of Bitcoin/Litecoin/USD, I highly recommend using Bitfinex where you can Margin Trade, i.e. Short sell or Long buy without actually having to own USD. Read up how on my previous blog post, and create an account with me to get 10% off trading fees for 30 days. If you have already created an account, but haven't used a referral code, you can still enjoy the discount by emailing support@bitfinex.com and quoting the code 'aQBHcxVPzj'. When/What's a Good Price to Buy/Sell? For new altcoins, and especially clones, all you'll need is to find a good price to buy, since there's no charts for you to do any TA yet. I found a pretty useful formula for calculating a fair price, and have found it to be pretty accurate. Use it, let me know what you think about it, and how we can improve it to apply to different coin types etc. by Tweeting me or leaving a comment below. Secondly, like it or not, you'll have to learn more Technical Analysis basics if you really want to find the sweet spot for entry/exit prices. It'll also help to have a better understand of how markets in general work, and apply the knowledge to your crypto trading. Obviously, the most important rule in trading is to "buy low sell high". Unfortunately, that's usually harder to execute than it sounds because of panic and greed. Haven't you learn enough from bubbles? Whatever goes up must come down. Markets will always look for a correction after a big spike. Don't chase the bubble! 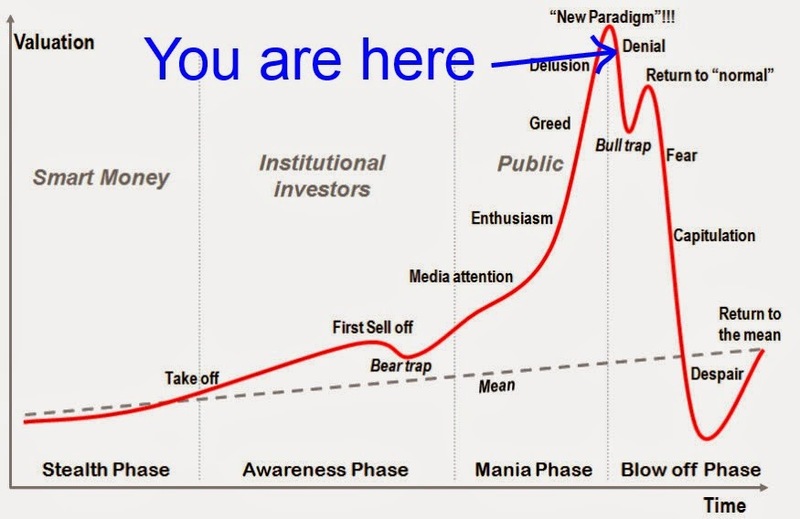 EVERY parabolic curve/rise is a bubble, and a chance for you to sell your altcoins for a profit. Just wait for it and always set sell positions ready to eat up those buys. If you have the time, also invest some of it reading the whole of my blog, and also this 6 part series on Technical Analysis for Beginners from a fellow cryptotrader, ClydeMachine. #0: Don't join Pump & Dumps, period. For someone to make money, someone else has to lose. Don't be the one caught with the short end of the stick. #1: Always trade with a plan. Before entering a trade, plan not only your entry but also your exit. Don't fall into the trap of panic buying/selling. Once you get over that, everything will start to come together. #2: Discipline. Be patient and wait for good setups. Plenty of opportunity everyday, don't spread too thin. On a side note, I can't wait for a margin platform for altcoins to be built. If you're building one, hit me up and let see how we can work together (I'm a Business Development and Online Marketing Major). #3: Money management. Don't spend more than 5-10% of your entire BTC portfolio on a single Altcoin, unless you're damn sure it's gonna be profitable in the mid-long term. Buy/Sell Walls. I barely look at buy/sell walls because these can be manipulated so easily especially for lower volume altcoins. I only use this, if ever, to have a better idea of support/resistance levels, although I know many people will tell me these work wonders and I trust you too. Market Capitalization. Market caps are nothing more than two numbers multiplied by each other; total supply and price. It gives you a good judgement of how a crypto is currently doing, but in no way does it say if an altcoin is a good buy/sell now. I think what's more important when looking for long-term buys is the total hashrate (and rate of growth) of the cryptocurrency. News Stories. More often than not, news is already factored into price by the time you read about it. Of course, exceptions include "big" pieces of news such as China's government intervention, recent Russia's ban, and issues with (then) leading exchanges. Overtrading. I'll let the guy whom I learnt all my Bitcoin trading fundamentals from speak about this: Bitcoin Trading Webinar - How To Make Money Trading Bitcoin (@ChrisDunnTV). Long video, but worth it if especially for beginners. Not having a plan beforehand. I can't emphasize this enough. Many people jump into buying an altcoin without thinking about their exit plan. What is your target, when you do sell and take profit, when do you sell and cut losses, or do you have more funds/positions ready to buy more if it continues to dip? Are you holding this for the short term or long term? These are all important questions to ask yourself before making a trade. If you don't have a sound and comfortable strategy before entering trades, more likely than not, you're going to end up losing Bitcoins over the (not so) long run. Trying to predict a bottom/top. Nobody can predict exactly where the price is going next, only a better and more informed guess. I personally think this is the toughest problem to tackle, because when greed takes over, you always think "I could have made so much more if only I sold higher or bought lower". "Great Traders never buy at the Bottom and always Sell too Early." Chasing the bubble. What goes up must come down. Getting emotionally attached to a particular altcoin. I have to admit this is still a problem for me, and I'm still holding onto bags of WDC, ZET, EAC, MSC, that are currently unprofitable. I bought them earlier on, and didn't take profits from the bubbles. But most important thing is that we learn from our mistakes, and that's why I now like to sell some positions to get into a position to "freeroll". Using Technical Analysis as the sole determinant for making trades. Every indicator is useless - by itself. The market is not stagnant, and prices are affected by everything we can, and cannot think of. Don't be bound by one system of analysis; use every single piece of information you can find, and objectively analyze the markets with a bird's eye view. Firstly, I must emphasize that I'm VERY Bullish on Bitcoin for the Long Term. I've invested every single FIAT dollar I have into Cryptocurrencies since November 2013, and I literally have to start selling Bitcoins 2 months later to pay my rent (or wait for a Bitcoin ATM to appear here). Because of this, I spend a ton of time & effort researching Bitcoin and Altcoins to constantly look for ways to grow my number of Bitcoins. I also have a high risk propensity and so not all my trades will be comfortable for you. My point basically is that nobody's situation is exactly the same, so keep in mind that you'll have to build your own strategy to suit your personal needs, risk preference, available resources, and environment. To give you a better idea of how I manage my cryptocurrency funds, I'll share a breakdown of the coins I own. I have 50% of my funds in Bitcoin, which is split into two portions. Half of them (25%) is in Bitfinex and used for Daytrading, and is also the Bitcoin I will never be selling. The other 25% of my funds is in various Bitcoin wallets/exchanges, either waiting to be traded for an Altcoin, Cryptostocks, or even for Poker on SealswithClubs. As for the rest of the 50%, I have them split over ~15 altcoins right now but I'm looking to weed out the weaker ones as soon as I find a good exit point, and hopefully only hold on to 5 or so for the longer term (and these will probably keep changing). 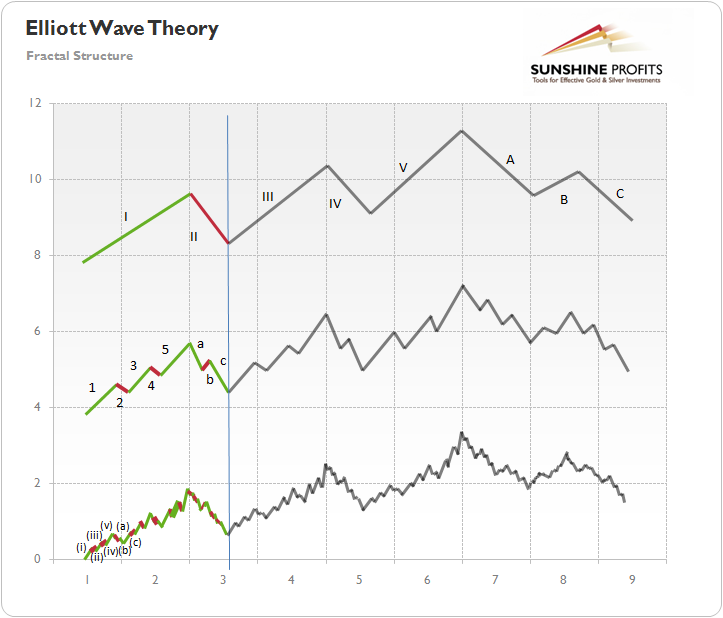 Super short-term strategy usually consists of Shitcoins; less than 2% investment per altcoin. Look for cheap entry price, sell portions as it increases, and I'll let go all during the first bubble that comes (sell all at a retracement after highest peak). Look to get in and out quickly. If you miss the boat, you might just end up holding a bag of coins with decreasing worth, and will probably take you months to break-even, if ever. Short-term altcoins are usually those that offer something more than useless clones; willing to risk less than 3-5% of total portfolio. These usually include the leading clones of the 7 types of coins I mentioned in the second section from the beginning. Look for cheap entry price, and sell portions as it increases. 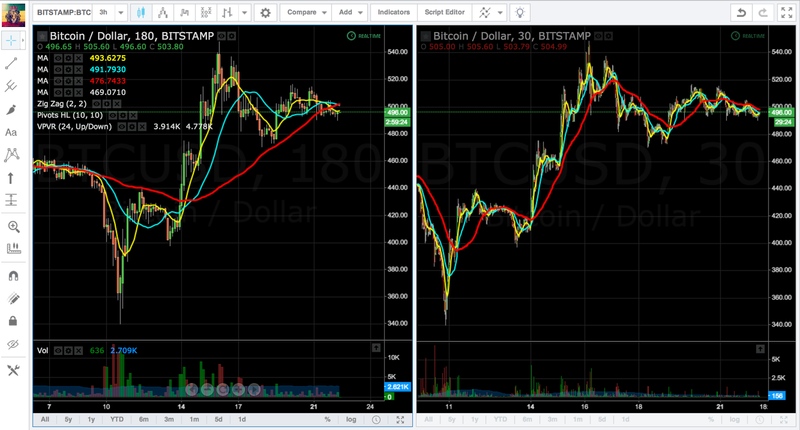 I usually sell until I break-even my initial Bitcoin investment in the altcoin, and then freeroll the rest. Depending on the coin, I may or may not sell all my coins after we double-peaked in a bubble, and bring some coins to the mid-term. Mid-term altcoins include those that provide various distinct and valuable features, such as NXT, VTC, DOGE, QRK. They're usually also the leader in their altcoin category, although it could be interesting to see which alternative eventually emerges as the Silver to each of these Altcoin's Gold. Layers and added protocols also for me fall under this category, and could be added to my long-term portfolio depending on how they perform (e.g. Ethereum). I'm willing to risk up to 10% of my total BTC on a single mid-term altcoin. My long-term portfolio really only consists of Bitcoin and Litecoin, solely based on the Network Effect that these two cryptocurrencies have garnered thus far. I agree to some extent that Litecoin will remain the second to Bitcoin and eventually live out its prophecy as Silver to Bitcoin's Gold. I have 10% of my portfolio in Litecoin and I'm just holding them for the long haul. I'm just waiting to sit through my second Bitcoin bubble and make some money. I feel bad for saying this, but I can't wait for the economic meltdown. MaxCoin. Way overpriced. Could probably fall 10x-100x. Wait and see where the bottom is. KarmaCoin. Decently priced. I think 1 to 2 Satoshi is definitely a steal. Provided this coin can gain enough traction for a bubble. Check out the rest of my current & updated watchlist at Cryptocoinchart Investment Club. Don't forget to stop by periodically and bookmark my Cryptocoinchart Investment Club profile for updates on which coins I'm eyeing/buying. 1. How do you feel about XYZ coin? First of all, there are over 100 altcoins out there, so don't expect me to know about every coin. If it's an exactly clone of Bitcoin, Litecoin, or anything already available, chances are, it's not worth either of our time. Secondly, read my tweets and do your own research (lazy = poor). If its worth mentioning, I probably did mention it. If you can't find it on my timeline because its too cluttered, again, do a Twitter search for the Altcoin and find out what the World has to say about it. Thirdly, there's 100s of altcoins out there for you to choose from. Don't spread yourself too thin and buy into every possible bottom. 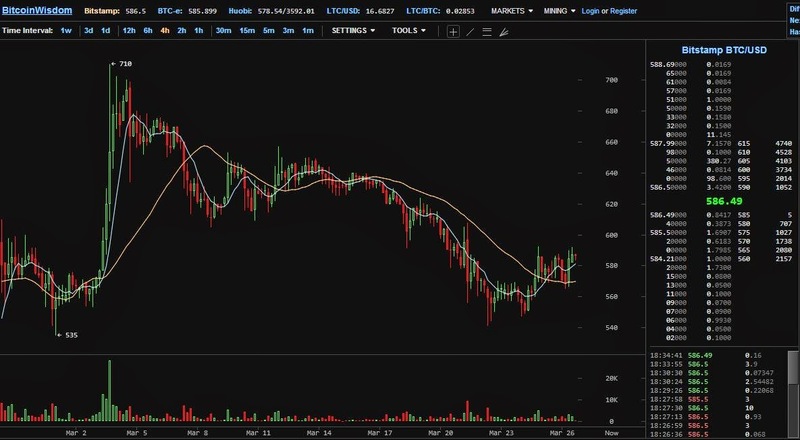 Leave the shitcoins to die, and stick to altcoins with a stronger fundamentals. 2. If I'm holding a bag of XYZ coin, should I just wait or sell for a loss now? Rule #1 of the game: Buy Low Sell High. But obviously easier said than done. If you think the coin isn't going make it to the mid-term, and want to liquidate them, you have two options. Sell now and take the loss; that's the hardest thing to do, but also what every good traders knows he needs to do. Or if you think the coin has potential, buy more at where you think is a low, so your average buy price drops, and you can liquidate some/all as soon as it bounces back up. Think Martingale (doubling) strategy. Got more questions? Leave a comment below! P.S. I recently came across an idea of a Cryptocurrency Hedge Fund; form a network/team of crypto traders to synergistically work together and achieve profitable returns. Different teams mining, selling altcoins, buying altcoins, looking for potential entry positions, trading bitcoin etc. If you'd like to discuss the idea, feel free to email me at alvinlee133(at)gmail.com or hit me up on twitter @onemanatatime. P.P.S. This post took 5 months of hard work and research, and one full work day (with overtime) to write. Feel free to donate some coins my way on the donate link below, or send some altcoins to my Cryptsy Trade Key: 9c1e289981a685bf0b8a4e48bc00b35eb1380afa.